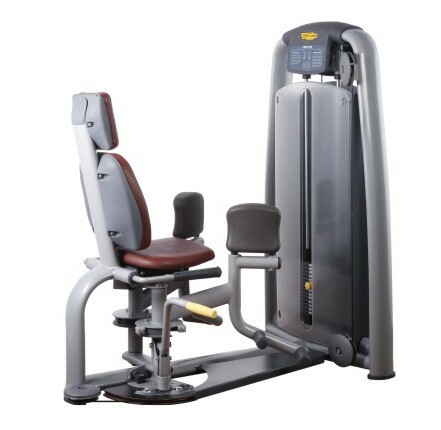 Selection Pro Series Strength Machine.The specially designed Gym Equipment Inner Thigh Adductor works the inner thigh muscles and provides effective, safe training. All paddings of this Thigh Machine at Gym are made from special high-density foam that adapts anatomically to the shape of the body providing maximum comfort and a beneficial stabilising effect during exercise. The Inner Thigh Adductor`s front mounted weight stack ensures easy use and privacy during workout. And the adjustable start position accommodates your capabilities and preference. Looking for ideal Gym Equipment Inner Thigh Adductor Manufacturer & supplier ? We have a wide selection at great prices to help you get creative. All the Thigh Machine at Gym are quality guaranteed. We are China Origin Factory of Inner Thigh Adductor. If you have any question, please feel free to contact us.